“No matter what side you’re on, it’s a broken system,” said restaurateur Kevin Boehm, partner in Boka Restaurant Group, a multiconcept operation based in Chicago. His comment opened an industry panel on tipping presented on Sunday in Chicago by Union Square Hospitality Group, Danny Meyer’s restaurant company and a pioneer in exploring alternatives to compensating servers through tips. USHG introduced its “hospitality included” no-tipping policy last fall. Since then, the model has been a hot topic of discussion in the industry, with most restaurateurs taking a wait-and-see approach as they learn from the leaders. Five of those leaders’ top learnings, hits and misses were revealed during the panel. USHG contributes 13 percent of daily revenues into a shared pool for front- and back-of-house employees. At the end of the week, the pool is divided according to how many hours a line cook, server, host, etc. works and what level they have achieved in the company. The money comes from higher menu prices at the three USHG restaurants that have so far done away with tipping. “The revenue-share model is working because it celebrates team members’ successes weekly, just like regular tips,” said Sabato Sagaria, USHG’s chief restaurant officer. Bar Agricole in San Francisco also tried a pooling model but based it on monthly profits rather than revenues. Employees complained because they had to wait too long to get their share, so owner Thad Vogler reinstated the old tipping system. No-tipping opponents argue that waiters aren't motivated to deliver good service if tips are eliminated—and servers will defect to other restaurants. To counter those possibilities, USHG created a tiered system, rewarding servers based on performance and aptitude, said Sagaria. They start at tier 100, then progress to tier 200 once they are trained and can train others, eventually reaching the 300 level. As servers advance, they are rewarded with a larger revenue share. With this new model, front-of-the-house applications are up 200 percent, he said. 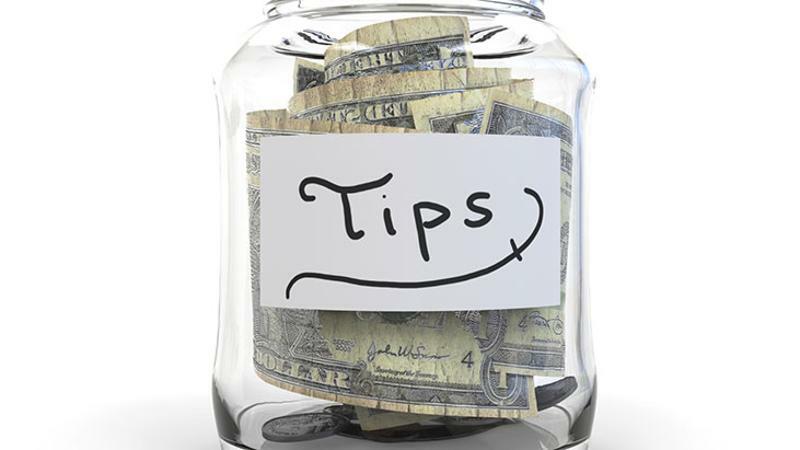 Every state has its own rules when it comes to tipping and service charges. In Illinois, only those employees who have contact with the guest are allowed to get a portion of pooled tips—leaving out dishwashers, line cooks and other kitchen staff. Boehm and other Chicago restaurateurs are lobbying the state legislature for a hybrid system, in which 3 percent of the pool is split with the back-of-house staff. In the meantime, he reported that some restaurants have a line cook deliver one dish a night to a table so they can be “in contact” with the guest and get a share. At The Whale Wins in Seattle, chef-owner Renee Erickson did away with tipping and instituted an across-the-board 20 percent service charge to be pooled. While the “Uber generation” immediately understood the pool concept, said Erickson, some older customers still wanted to leave a tip to reward service. “This can turn into an accounting nightmare,” said Erickson, “so if customers end up leaving tips, we decided to donate them to charity.” Staff has been very supportive of the “giving back” policy, she said. Service charges are not legal in every state or municipality, so many restaurants (including USHG’s The Modern, North End Grill and Maialino) raise menu prices when they eliminate tipping. But as one audience member pointed out, a restaurateur would have to pay a higher retail sales tax on higher-priced items, which may shave those thin restaurant margins even thinner.